I have been a little MIA, not just on here but all of my social media pages, lately and I'm so sorry about that! I have been in a really bad blogging slump that I am still struggling to get out of but thats a post for another day (hopefully I'll be getting back on track this week 🤞🏻). This past long weekend (WOO Memorial Day Weekend!) 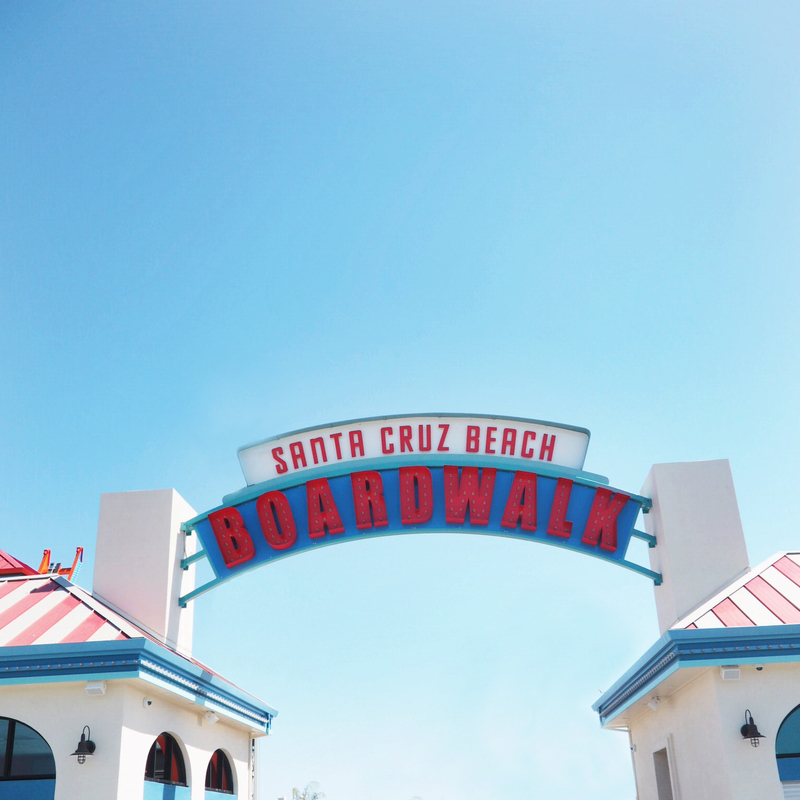 me and a couple friends decided to do a day trip to Santa Cruz for some boardwalk fun! It was a gorgeous day to visit a beach town, there wasn't a cloud in sight! 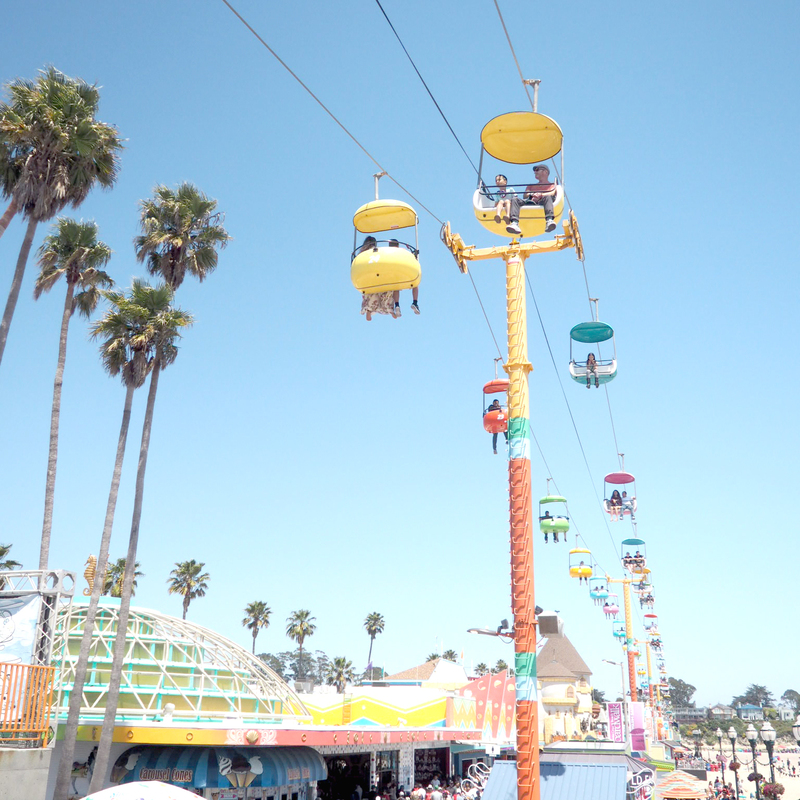 I love that Santa Cruz still has the old time-y charm of wood roller coasters and knocking down milk jugs and funnel cakes. It was such a fun day to feel like a little kid again with friends. And I got to put my feet in the Pacific Ocean too! 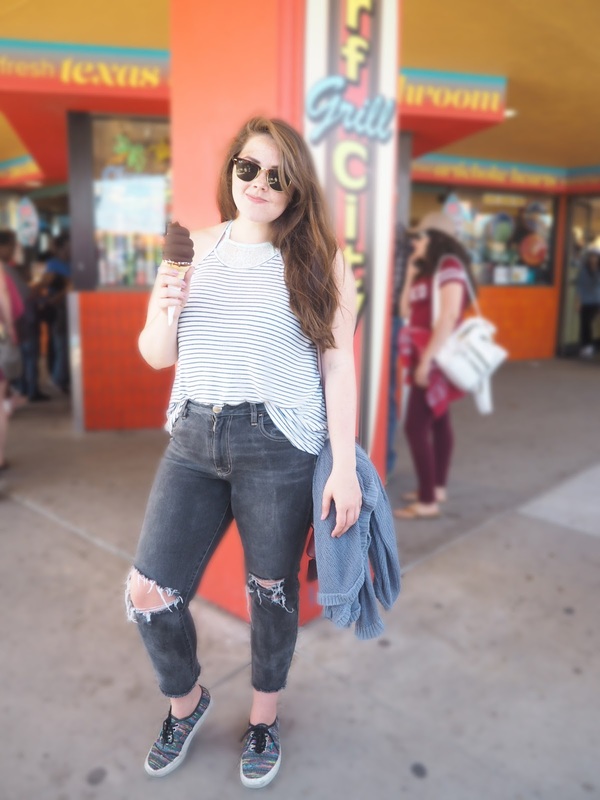 This outfit has been my go-to weekend casual outfit! I love these high neck tanks from Old Navy. I have it in 3 colors and I can't get enough! 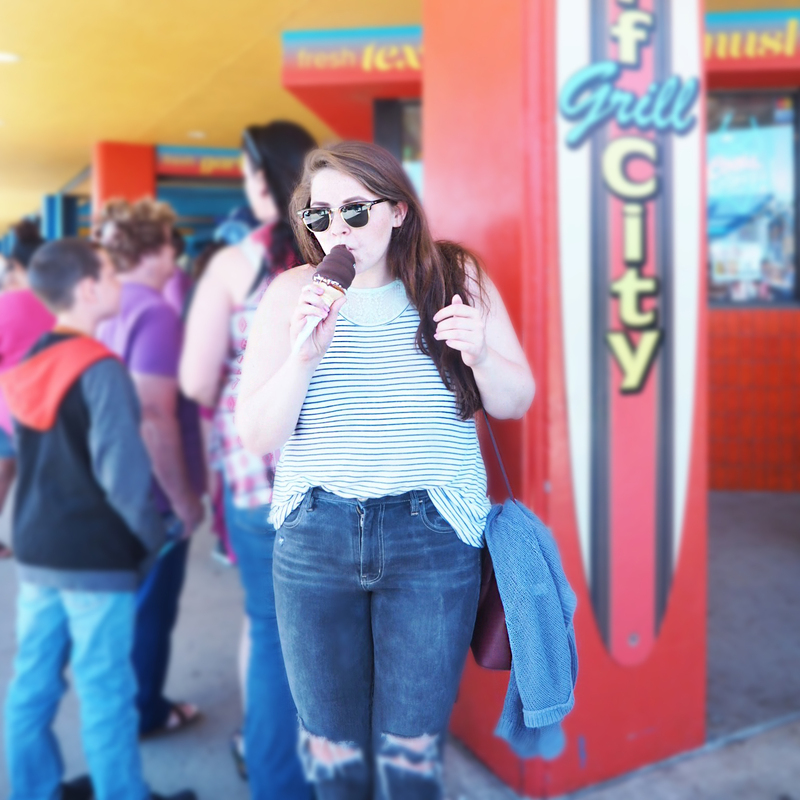 I think the navy stripes one really gives off the summer vibes so I had to wear it on my Santa Cruz trip! I'm also so upset that my Vans are no longer available because not only are they so comfortable but they are not only a neutral but also add little pops of color that still allows them to go with everything.